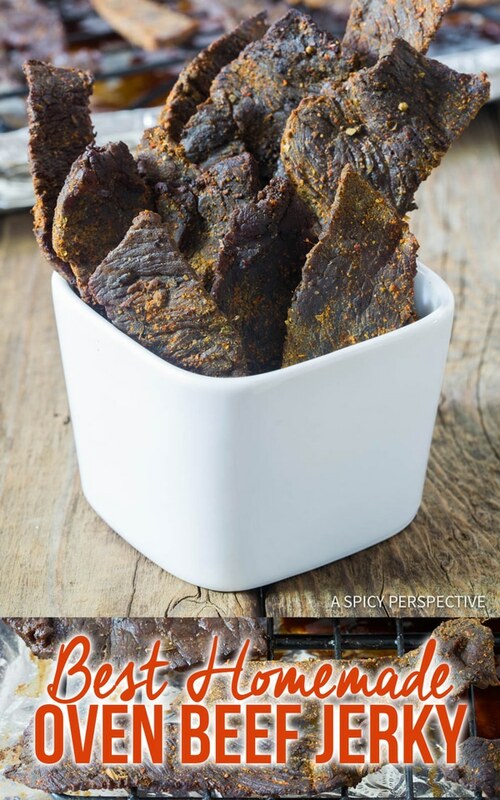 This Paleo Best Homemade Oven Beef Jerky recipe is packed with flavor and protein, and has the perfect chewable jerky texture! We have made many beef jerky recipes over the years. So with brown sugar or honey, some with various cuts of beef, and different spices. There is no added sugar. It offers a fabulous blend of spices. 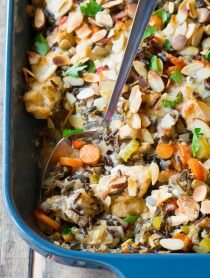 And it fits into Paleo, Keto, and Gluten Free meal plans. Therefore, you tend to have to make meals, and all your snacks, at home. Although this is a little inconvenient at first, it lends to a much healthier, much more delicious daily routine. It also revs up the creative juices! We were recently testing out a new food dehydrator. Even though I loved how it dried fresh fruit, I was very unhappy with the results in homemade beef jerky. Especially after waiting so many hours. 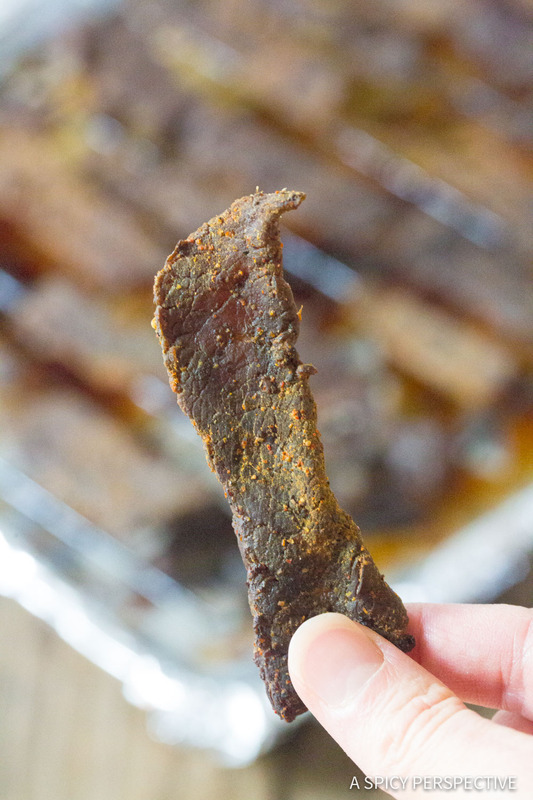 To me, the best homemade beef jerky is made in the oven. With the oven set at its lowest heat, it is still hotter than a food dehydrator. I believe this dries the beef faster and locks in the flavor. 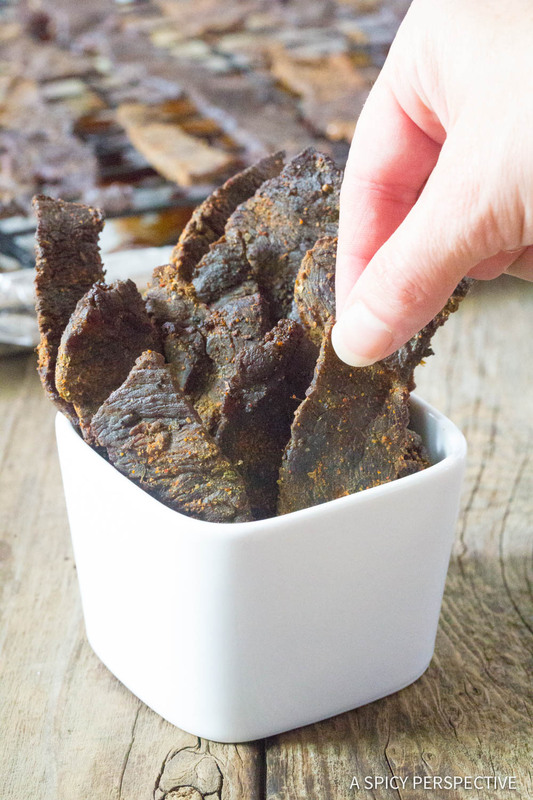 Today, I’m sharing my favorite beef jerky recipe. It’s not the sweetest jerky, or even the prettiest beef jerky I’ve ever made. 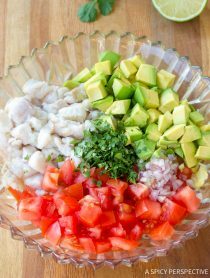 Yet it does take the cake in bold flavor, texture, and health! One of the most important things to do when making beef jerky at home, is to prep the beef properly before marinading. It’s important to trim off all the extra fat so that the jerky can stay out at room temperature after baking. If there are little chunks of dried fat of the jerky, it will turn rancid at room temperture. 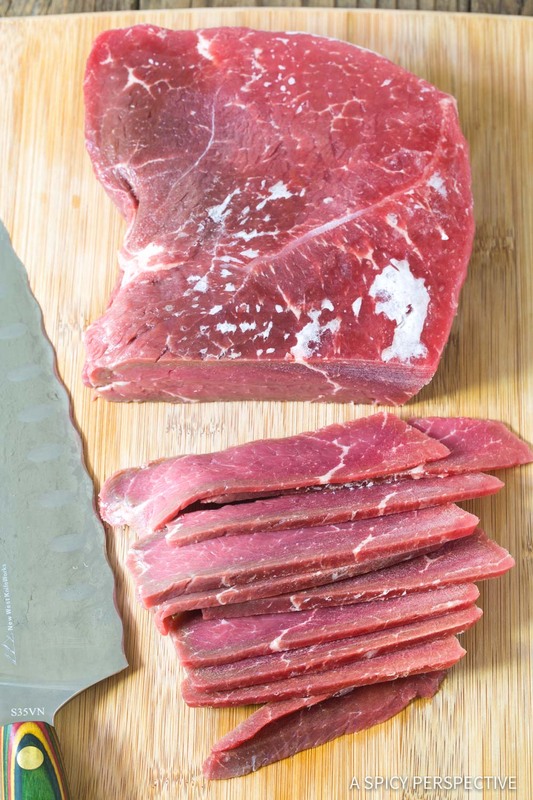 Then “flash freeze” the beef just long enough to firm up the outside, so it is easy to cut into this strips. After cutting the beef into 1/8 inch strips, marinade the strips in the seasoning for at least two hours. Remember, the longer the beef soaks in the seasoning, the stronger the flavor will be. I like to marinade beef jerky overnight so it’s seasoned well. Use baking racks set in oven pans to bake the beef jerky. This allows the juices and marinade to drip down so the beef can dry out properly. Finally, taste-test the beef jerky early, so you don’t leave it in the oven too long. 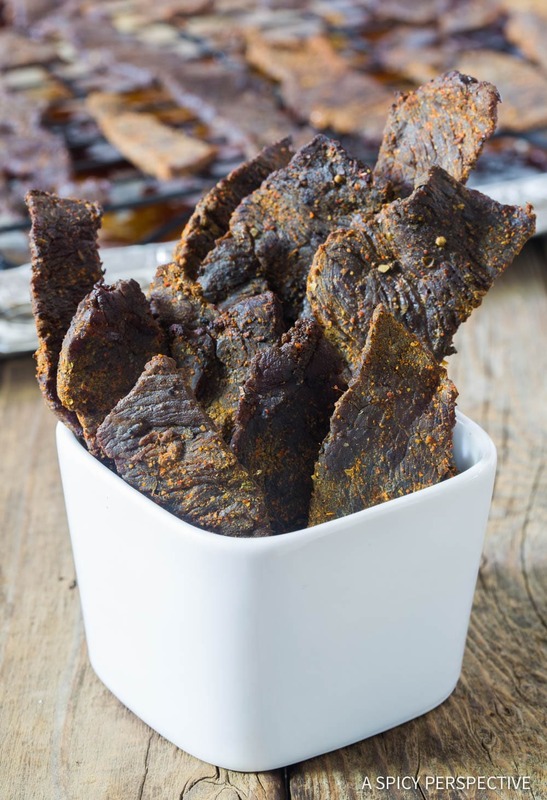 This Paleo and Ketogenic "Best Homemade Oven Beef Jerky" recipe is packed with flavor and protein, and has the perfect chewable jerky texture! Trim all exterior fat off the beef roast. Flash freeze the beef for 30-45 minutes, so it's frozen on the outside, but soft-ish on the inside. This aids in slicing the beef thin. Then slice the beef roast against the grain into 1/8-inch thick strips. Place the beef strips in a large zip bag. Add all remaining ingredients to the bag. Zip the bag closed, then shack and massage the beef so the seasoning coats every strip. 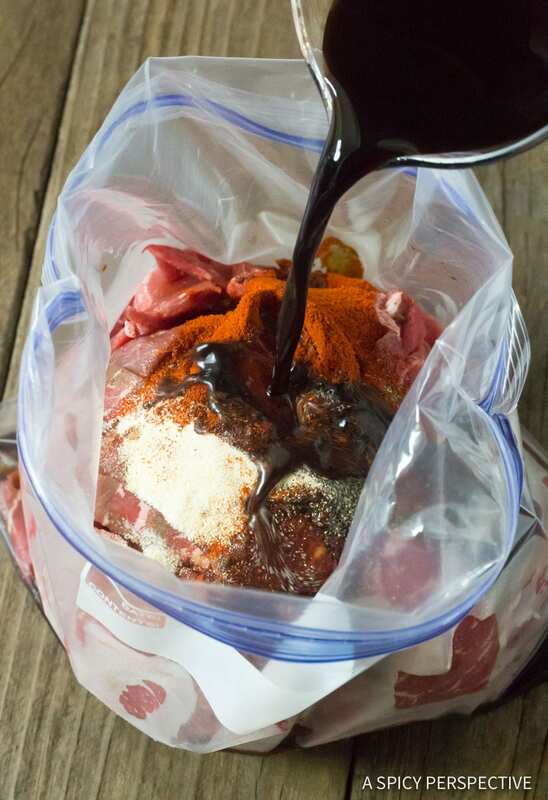 Place the bag in the refrigerator and marinate the beef for at least 2 hours, but up to 12 hours. *The long the beef marinades, the better! When ready to bake, heat the oven to 175 degrees F. Line 2-3 large rimmed baking sheets with foil, and place baking racks on the pans. 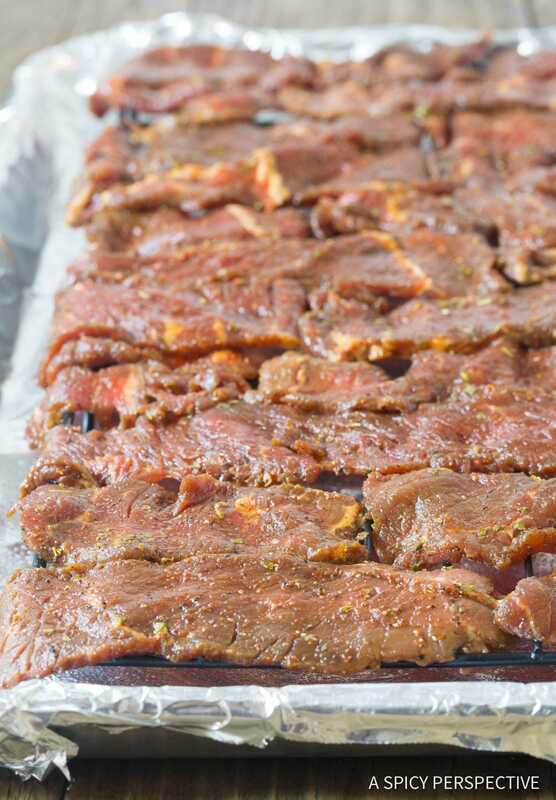 Drain the marinade off the beef and lay the strips in a single layer across the baking racks. 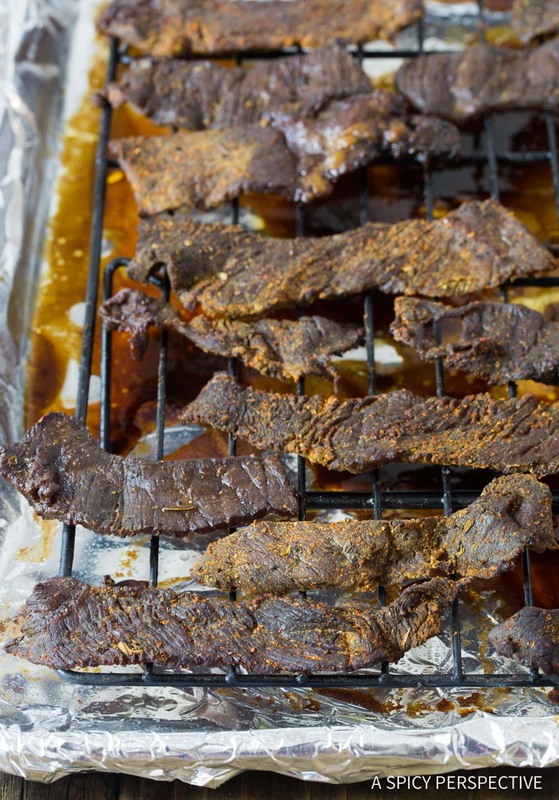 Bake the beef jerky for 3-4 hours, until it reaches your desired texture. At the 3-hour mark, take one piece out of the oven and cool. Then test for texture and continue baking if needed. If the beef jerky is dry, you can store it in an airtight container at room temperature for up to 2 weeks. *If you leave fatty bits on the beef, you may want to refrigerate it. The recipe looks great! Congrats on a successful jerky making experience. You can also taste beef jerky at 24K Jerky at best cost. 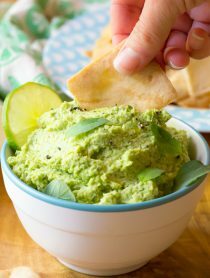 I´ve taken the opposite tack and moved from the oven to using dehydrators but a suggestion for those who choose the oven out of preference or necessity. Try using skewers and thread the end of your beef strips and let them hang through the tangs on your oven rack, one strip per gap with the foil lined pan on the bottom of the oven. You will get much more jerky packed into the same space and better heat/air distribution for quicker and more even drying. I used to do 6 lb batches with this method with room to spare.